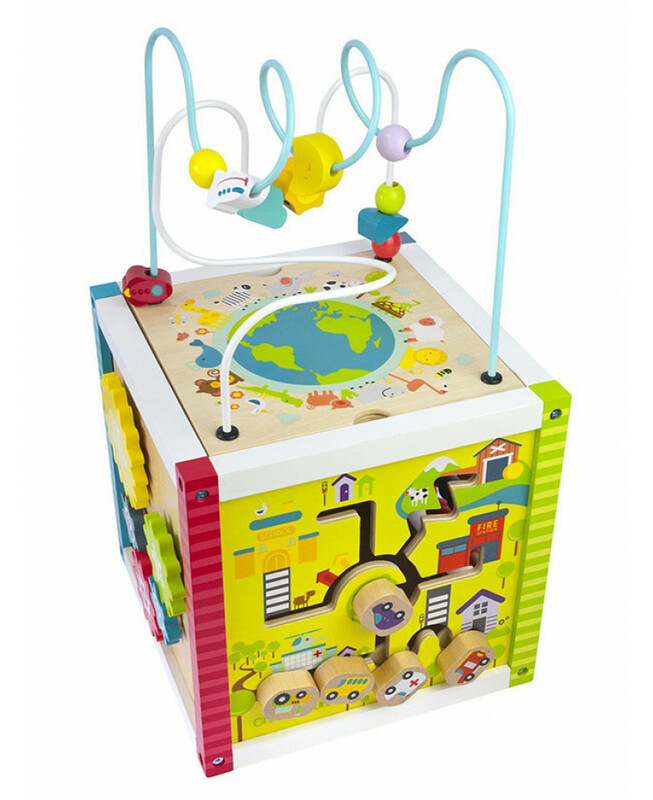 This colourful Bead Maze Activity Cube introduces baby to shapes, colours, movements and sounds. 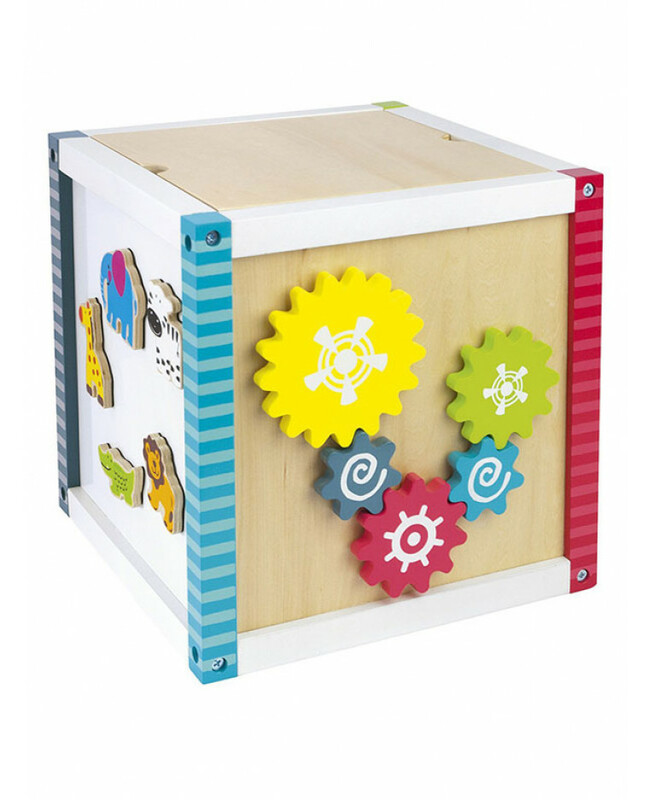 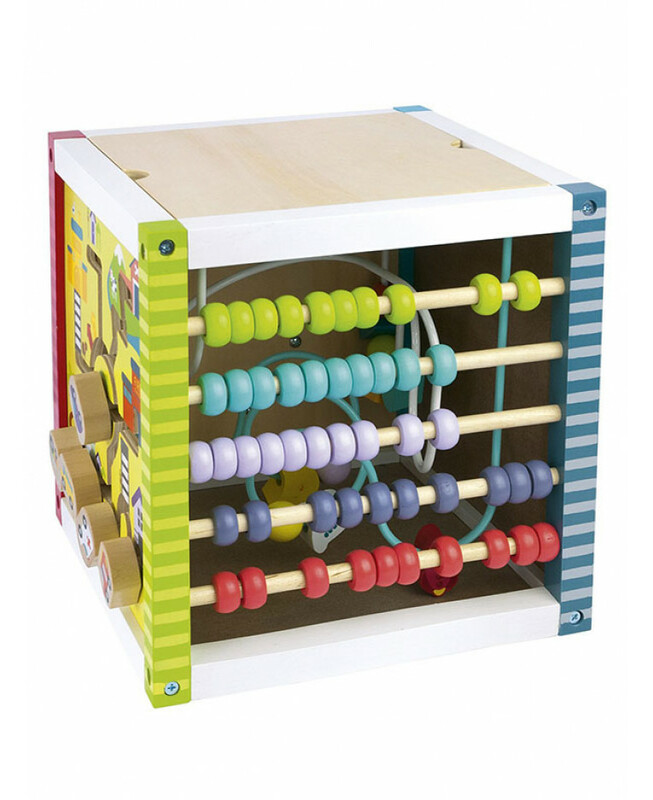 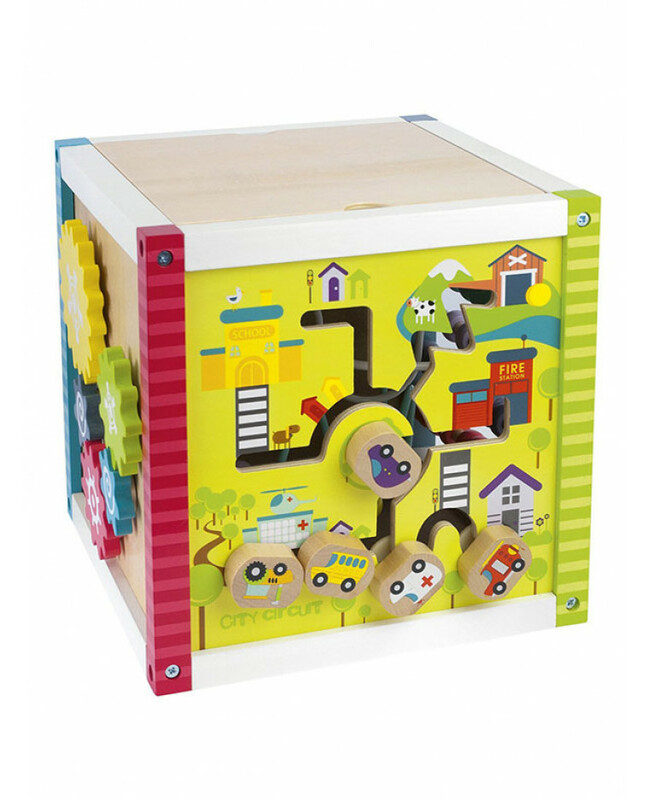 Each side of the cube has different activities to interest your little one and to help develop their learning skills including an abacus, a bead maze, animal magnets and moving cogs and cars. 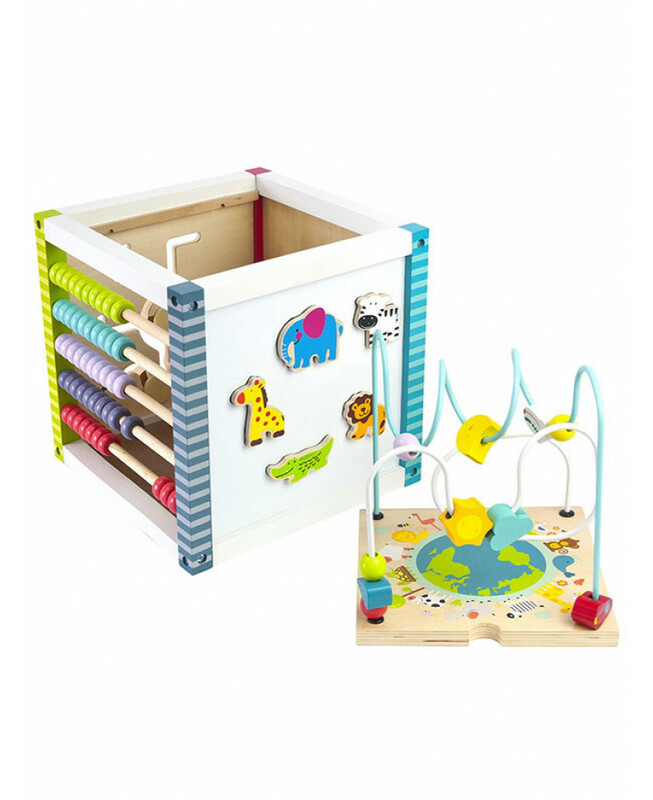 The bead maze can be removed and stored inside the cube ensuring that the toy can be conveniently tidied away when not in use.